On the face of it, equity investors can’t get enough of U.K. fintech. According to KPMG figures, the sector attracted investment of around $16bn in the first half of 2018 alone. Wind the clock back to 2017 and fintech firms accounted for £1.34bn of a total £2.99bn investment in Britain’s tech startup sector. Those are the headline figures, but the underlying picture is a little more complicated. As KPMG acknowledged, the numbers for the first half of last year were pushed higher by a $12.99bn acquisition of card payment company Worldpay. In 2017, much of the investment activity was focused on just a few breakthrough companies, including, Monzo, Transferwise and Funding Circle. 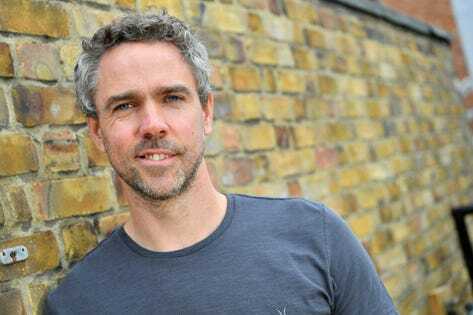 That’s why Crowdcube has launched a new competition, offering a share of a £500,000 investment fund , plus legal and accountancy support, to three winning fintech businesses. “We want to shine a spotlight on this sector,” adds Lang. The focus is on business models that help to deliver financial inclusion and accessibility. Even in a rich country like the United Kingdom, financial inclusion is an issue. When a survey was carried out in 2015 by the Government supported Financial Inclusion Commission, it emerged that around 2 million adults did not have bank accounts and many people were unable to access services, such as affordable loans, or even home and contents insurance. Lang believes that fintech companies have the ability to address at least some of the issues that lead to financial exclusion. By their very nature, fintech businesses are setting out to disrupt their target markets and that often means making financial services more available or less costly, with the ubiquity of the mobile phone acting as catalyst. So to bring forward a new generation of fintech pioneers, Crowdcube has partnered with Propel (part of accountancy firm Deloitte), investor, Green Shores Capital and law firm Linklaters. This month, fintech companies seeking to raise money on Crowdcube are being given an opportunity to pitch to a panel of judges. Three will win a share of the £500,000 investment and an accompanying package of business support. The caveat is that entrants have to be seeking to raise money via Crowdcube, – a condition that narrows the field. However, Lang stresses that the platform is already attracting significant number of financial technology players. “I have always been fascinated by the fact that there seems to be an affinity between crowdfunding and fintech,” he says. “Fintech companies see raising money through Crowdcube – and through crowdfunding more generally – as a way to differentiate themselves from the big banks.” And as he points out, major British fintech companies such as Monzo and Revolut have used the Crowdcube platform. Seen from that perspective, the Thrive for Fintech award is providing Crowdcube with a means to underline its links with a fast growing tech sector. By the same token, when the finalists are selected and the winners chosen, the award should also provide a publicity boost the fintech companies themselves. As Lang acknowledges, the partnership established to deliver the prize also underlines the changing face of crowdfunding, and in particular, the growing role of institutional VC cash. Put simply, alongside a broad community of Crowdcube investors, professional angels, VCs are now using the platform as a channel to investment opportunities. Whether or not the competition succeeds in its aim of boosting financial inclusion will depend on the companies chosen by Thrive for Fintech’s judges when the winners are announced at the end of January. But there is a bigger point here. In emerging markets, fintech has played an important role in bringing people who were excluded from financial services into the market. There isn’t perhaps quite the same well of unbanked and underserved consumers in Britain, but there much to play for in providing cheaper, better and fairer finance. And whether inside or outside the Thrive for Fintech competition, crowdfunding has become an important source of finance for early stage businesses in the sector.